World Refugee Day and Refugee Week are an opportunity to raise awareness of the plight of refugees, as well as celebrate the huge positive contributions made by refugees to Australian society. 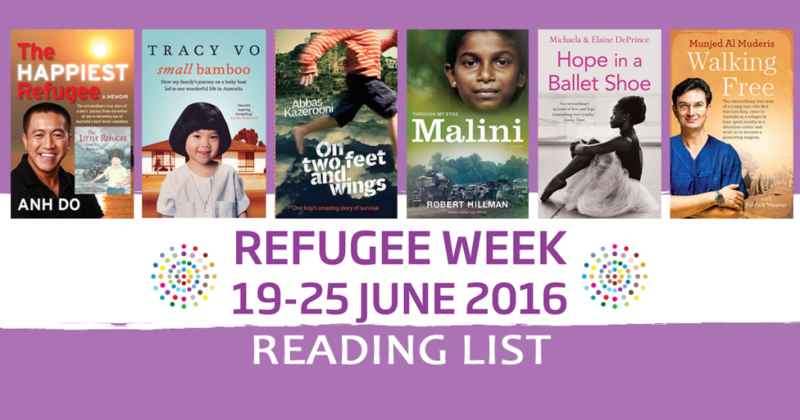 We’ve gathered together a reading list of favourite and important refugee stories from fiction and non-fiction, suitable for young and old, so what better time to pick up a new book and look at a very different life? We’re hugely proud to have been able to share these refugee stories, which tell the often harrowing and heartbreaking stories of people who came to call Australia home, and the struggles they faced both in reaching our shores and building their lives here. In his memoir The Happiest Refugee , and his children’s picture-book version The Little Refugee, Anh Do tells the uplifting and inspiring story of how he and his family almost lost their lives escaping war-torn Vietnam, how the family struggled with life in Australia, and how Anh came to become one of Australia’s favourite personalities. 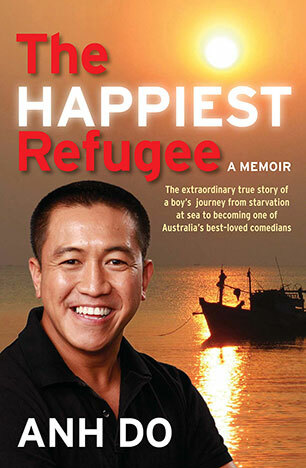 Both books are hugely loved, with The Happiest Refugee filled with Anh’s humour amidst the heartache, and there’s talk of Russell Crowe turning Anh’s story into a film. 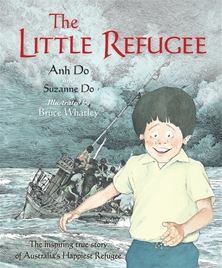 The Little Refugee is aimed at children aged 4 upwards, and we’ve got notes available for teachers in using this fantastic picture book for classroom discussion. 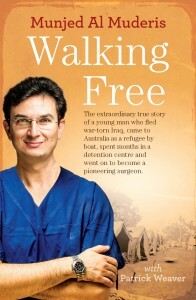 Munjed al Muderis came to Australia as an asylum seeker, fleeing certain death in Iraq for refusing to cut off the ears of deserters from Saddam Hussein’s army. He survived the arduous journey here via people smugglers and a leaky boat that landed him on Christmas Island, and then further torment in Curtin detention centre. After finally being granted asylum, he worked incredibly hard to re-acquire his medical qualifications, and is now a world leading authority on osseointegration surgery – integrating artificial limbs into the bodies of amputees, many of whom served in Iraq and other war zones. 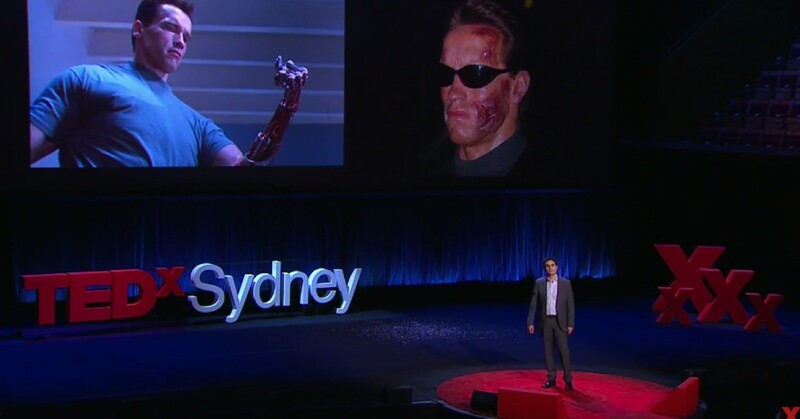 A hugely inspirational story, both from his time as a refugee and in the incredible work he has done since, last year Munjed spoke at TEDx about his experiences, and how the Terminator movies inspired his medical research. Learn more about Munjed’s remarkable story here where you can hear interviews, and watch his inspiring TEDx talk here. 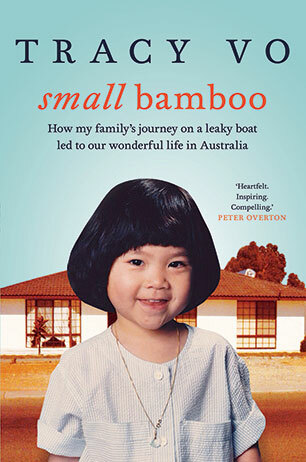 Like Anh Do, Channel 9 journalist Tracy Vo’s family fled to Australia following a dramatic escape from war torn Vietnam, boarding a leaky boat not knowing what their future held or whether they would live. In Small Bamboo, Tracy reflects on that life changing journey and the amazing life it created for them in Australia. Her story shows the extraordinary bravery of her parents and the many refugees like them who fled tragedies and now call Australia home. 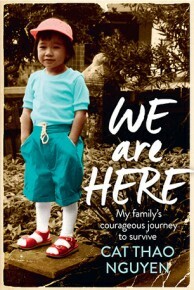 Told through the bright and unflinching eyes of Cat Thao, born in a refugee camp, We Are Here is the poignant and compelling story of her family’s horrific flight from persecution in Vietnam on foot across the killing fields of Cambodia, and their life as new migrants in 1980s Australia. 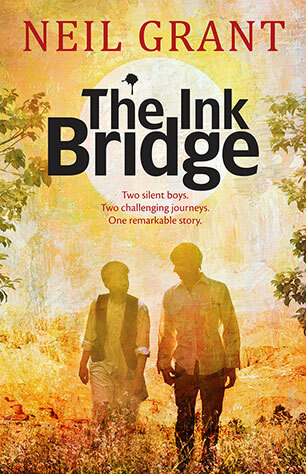 This is a memoir that begins in 1975 with her family’s gripping exodus out of post-war Vietnam and the crowded refugee camps of Thailand, before exploring the migrant experience of Australia of the 80s and 90s. 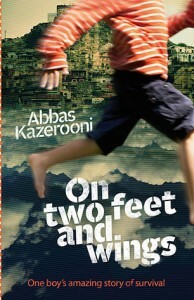 In On Two Feet and Wings Abbas Kazerooni shares the remarkable story of how he fled Tehran on his own at the age of nine during the Iran-Iraq War, and surviving in Istanbul alone for three months awaiting a visa for England. 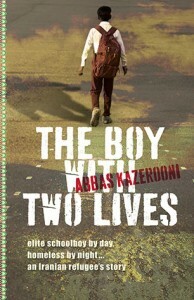 His follow up, The Boy with Two Lives continues Abbas’ story, telling of his double life in England – studying at a boarding school, being threatened with deportation and ending up homeless at the age of thirteen. 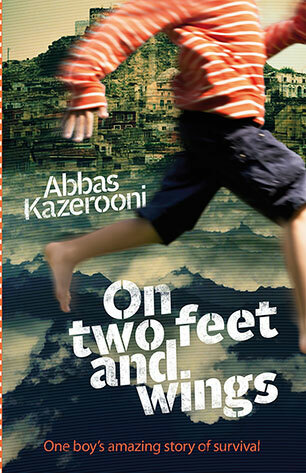 Abbas has gone on to become a lawyer, actor and producer. Both books, for ages 11 and up, provide a powerful child’s-eye view of political tumult, separation, survival, dreams and triumphs in moving memoirs that chronicle the extraordinary times in an ordinary boy’s life. Teachers notes are available on our website. This is a heart-breaking and inspiring autobiography from a teenager who grew up in war-torn Sierra Leone, lost her parents to war and famine, then was sent to an orphanage where she was mistreated and witnessed the murder of her teachers. 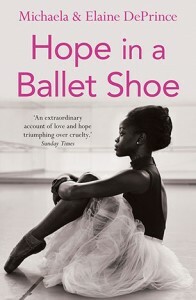 She was adopted and moved to the United States, where she faced further challenges, such as the racism she fought while chasing her passion, to become a ballerina. She’s now an international ballet star, dancing for The Dutch National Ballet. 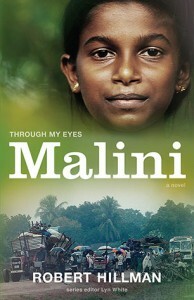 Part of our Through My Eyes series, Malini is a moving and uplifting story of one child’s life in the conflict zone of Sri Lanka. Malini must flee the Tamil Tiger troops and care for her younger sister, in a story of one girl’s odyssey through a war-torn country. For ages 11 up, with teachers notes available on the series website. Neil Grant’s award winning novel tells the remarkable and gripping story about one refugee boy on a desperate journey from Afghanistan, and the Australian boy who befriends him. 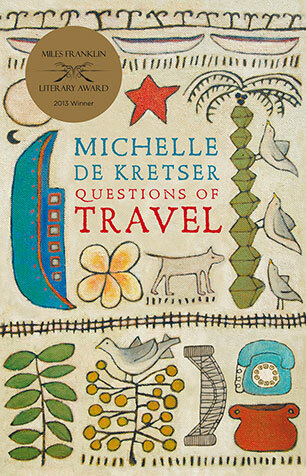 Find teachers notes and an author Q&A on our website. In one strand of the Miles Franklin award winner Questions of Travel, Michelle de Kretser shows Sydney and Australia through the eyes of a Sri Lankan refugee, while highlighting Australia’s struggle to understand the concept of refugees and their travel to our shores. Sami Shah wrote about refugees in his memoir I, Migrant and you can read his take on Australia’s obsession with “boat people” in an extract from his book here. Learn more on the UN website.